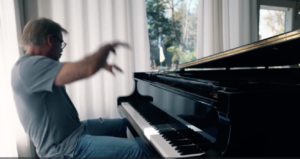 Thanks to Bound, we present Travel Oregon‘s latest campaign, “Only Slightly Exaggerated,” accompanied by an interview with Bryan Mullaney, Global Marketing Insights and Planning Manager. It’s unlike anything we’ve seen in a tourism campaign before. “I want to go there,” is the desired response. You’ll be captivated by the fanciful, colorful, whimsical animation and characters as well as the goals and strategy behind the campaign. There’s even an original score by the Oregon Symphony. ROI you ask? 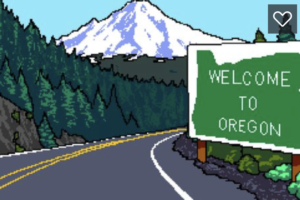 Bryan indicates that the job “would only be half complete if we didn’t create a bridge between the fantastical experiences of the animation and real Oregon locations travelers can visit.” So…they do. 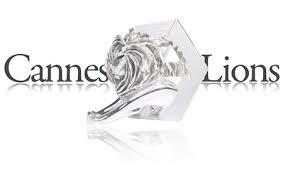 Congratulations to Travel Oregon, Tennessee Department of Tourist Development and Nashville Convention & Visitors Bureau for an impressive sweep of Silver Awards at this month’s 65th Annual International Festival of Creativity in Cannes, France. 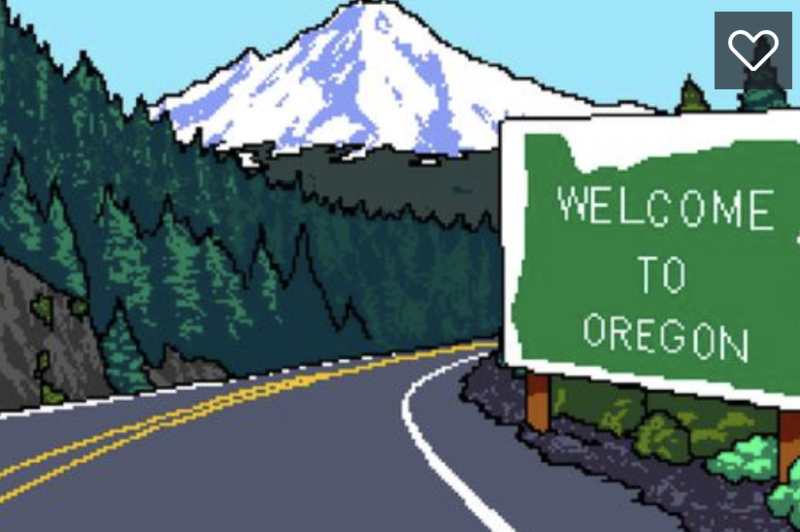 In case you missed Travel Oregon: The Game, here it is. Recent years have seen the state’s “One Minute Vacation,” “Tennessee Vacation Matchmaker,” (see The Travel Vertical, Aug. 15, 2016) and “Snap Your Way In,” (see The Travel Vertical, Aug. 8, 2017) among other campaigns, scoop up trophies from the world’s most prestigious creative communications event. Now they’ve done it again. 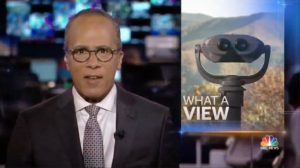 The Brief: “Roughly 13 million Americans have never seen fall foliage colors because they suffer from red-green color blindness. So we wondered, what if Tennessee could be the place they saw the true colors of fall for the first time? 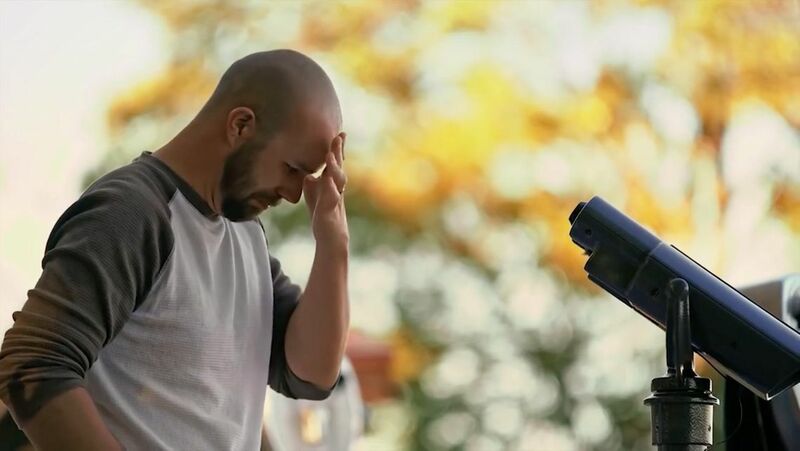 To make it possible, we got help from an optometrist, a technology company, and an engineer to outfit classic scenic viewers with special lenses that alleviate red-green color deficiency. The Colorblind Viewers were permanently installed at three of the state’s best scenic vistas. As colorblind people used them, and witnessed the red and orange glory of fall for the first time, we captured their emotional reactions for a short film to share the experience, posting it online an distributing it to national media outlets. 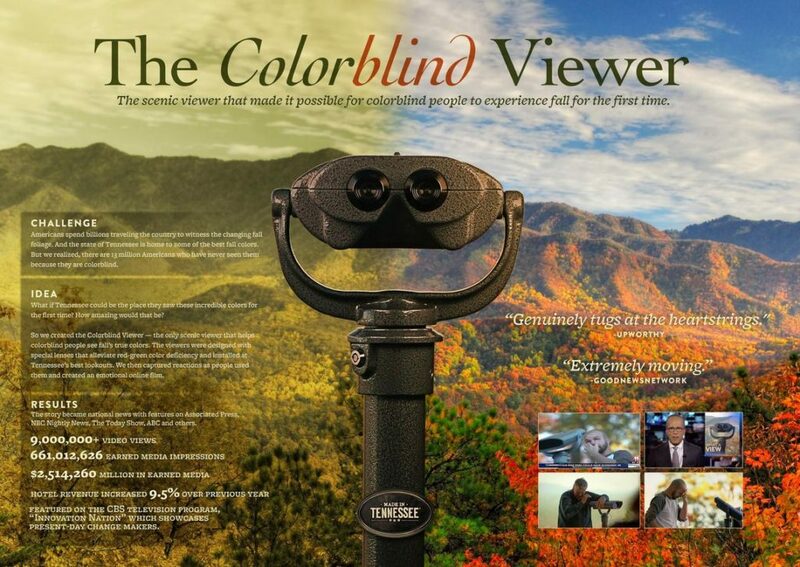 Execution: Because of the limited window of fall foliage, we promoted to 21-to-54-year-olds within short driving distance of Tennessee, with secondary targeting to people with colorblind-related search history. Thousands of people came for the experience before the leaves fell, with many more already planning their trip for next year. Watch the (full color) video here. 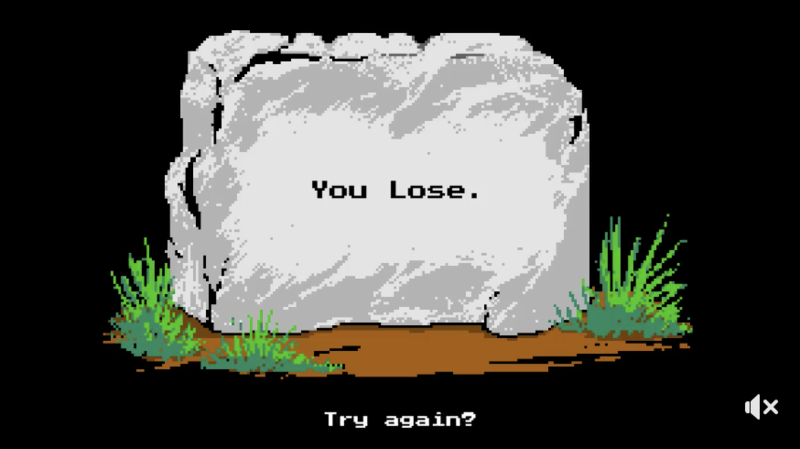 Quick, play “The Oregon Trail” now because it’s gone after December 16. 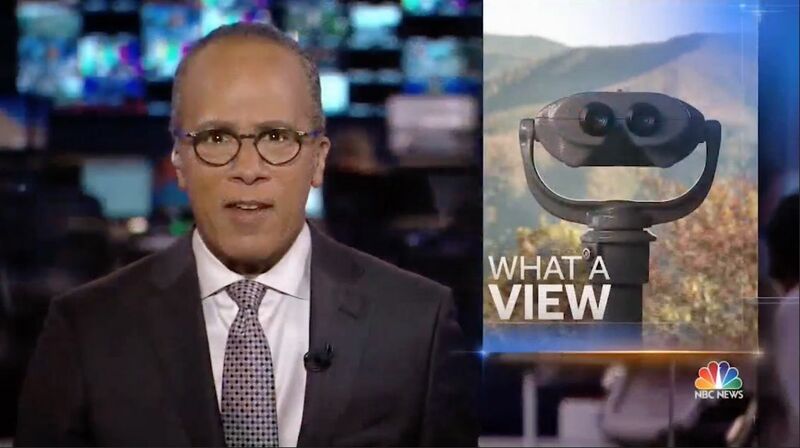 It’s 1848 all over again…with a twist. Travel Oregon and its agency Wieden+Kennedy are out with a new campaign promoting tourism that reimagines the super popular 1971 classic computer game, “The Oregon Trail.” Additional media partnerships include BuzzFeed, Atlas Obscura, Undertone and Reddit. 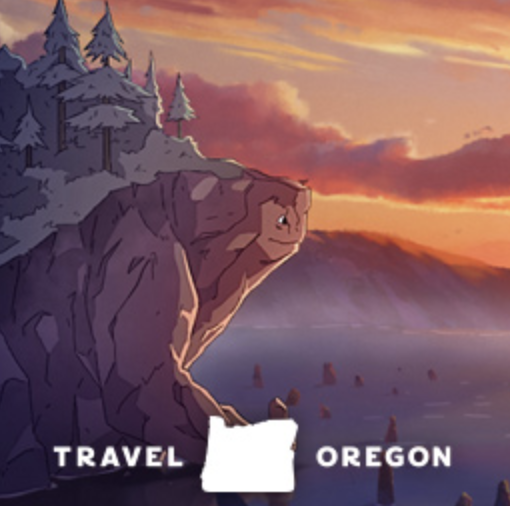 Travel Oregon’s social media agency Sparkloft is running a paid social campaign across Facebook, Twitter and Instagram. The DMO is also leveraging online video and audio assets through its media buy. The game was developed under license from Houghton Mifflin Harcourt to ensure authenticity with the original game experience and is optimized for the browsers Chrome, Safari and Firefox. See the BuzzFeed content here. Read more about the campaign here and check out Travel Oregon: The Game. Simply press “Spin” to see an array of fun accessories adorn Portlanders’ favorite local monster and stop-motion video character, Sasquatch. 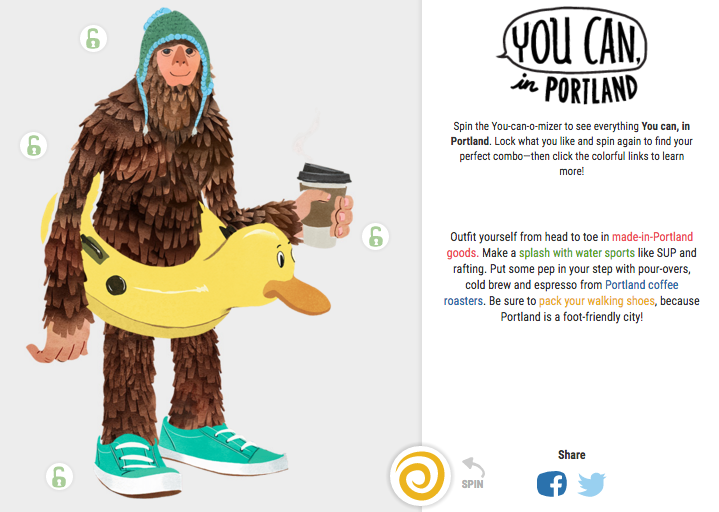 Keep spinning to see more combinations, all leading to rich content about Portland inspired by Sasquatch’s outfits, then share creations on social media using the campaign hashtag: #YouCanInPortland.